Arguably one of the most popular cities in Europe, Barcelona is a bustling hub of nationalities, a mixture of historic meets modern and a consistently beautiful and exciting city. Barcelona was another one of my spontaneous trips. 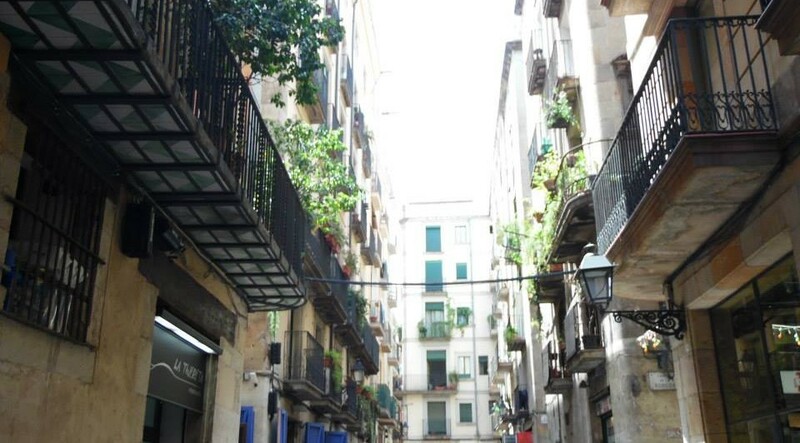 My best friend decided after heartbreak to book a trip to Barcelona where she would travel Solo and treat herself a little – then it all got a little scary. I was being ‘forced’ to take holidays from work, so instead of using them to do nothing I said ‘hey, instead of cancelling your flight, I’ll just come to’ and so off we went, Barcelona Hola! We were lucky enough to stay with a friend in the city for the 3 nights we were there. – The apartment even came with the cutest dog and cat! Staying with a friend in the city was also a plus as she also doubled up as our own personal tour guide and fantastic restaurant recommenders! The weekend was very relaxed, wandering the streets of Barcelona exploring, Tanning on the beach, Checking out some amazing culture, history and Art, and of course, Eating and drinking! – we were on a pretty tight budget for this ‘spontaneous’ trip. A lot of the things we done were free (YAY). 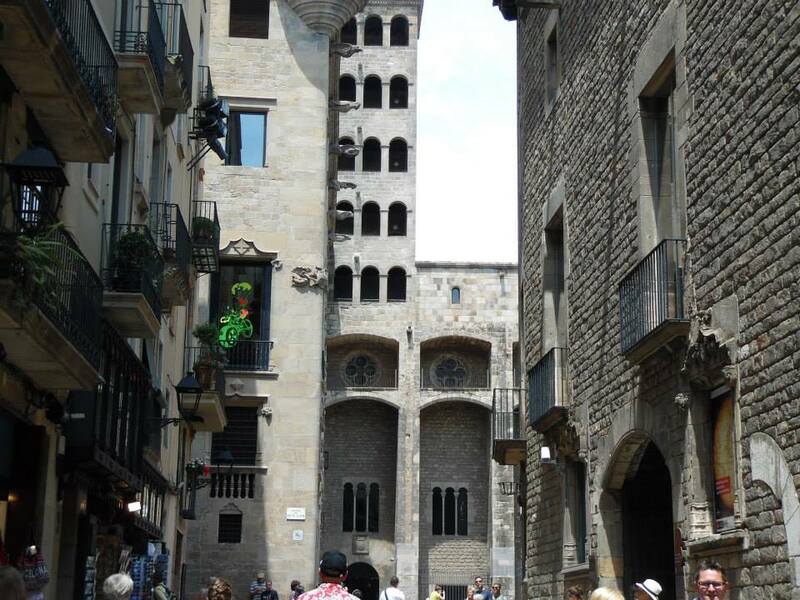 ‘Barri Gotic’ is the Catalan name of the Gothic Quarter in Barcelona, and is truly ‘old Barcelona’ at it’s best. The streets are never-ending – and considering the size of the Gothic Quarter, no surprise really – mazes of sleepy back streets to hidden boutiques with bars and restaurants, to magnificent ancient gothic buildings. Some of the buildings here date back to the Medieval times and even as far back to when the Romans settled in Barcelona. Take your time and lose the guide-book – except if you want a wee history brief on buildings or plazas – let the streets enchant you, find the hidden bakeries, boutiques. Spend some time in amongst the sleepy streets, keep pushing further and further in to find the real ‘hidden gems’ and experience the local life behind the tourist map of Barcelona. Take a wonder down to El Born Centre Cultural. If you are into your history – or in any way curious about the past – then give this place a visit. 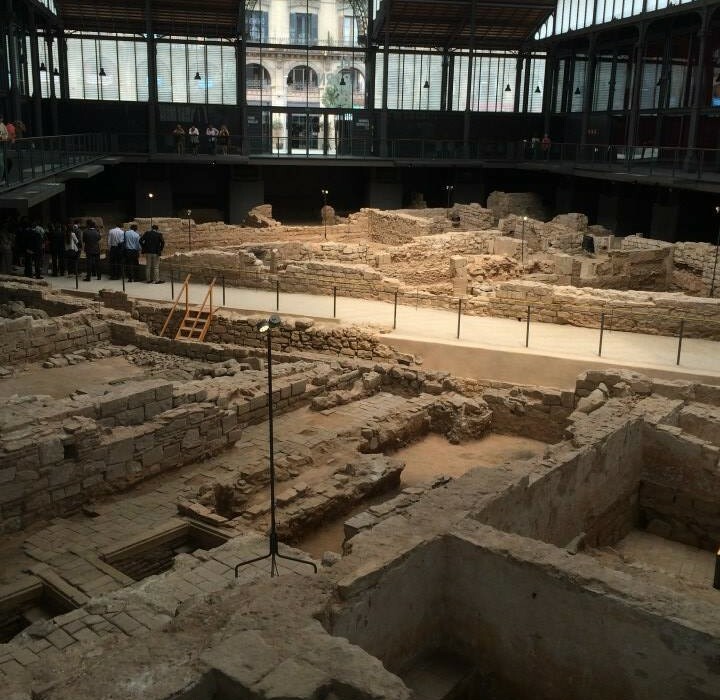 A beautiful excavated site of Ancient ruins of (very) Old Barcelona. Situated in the beautiful Plaza of El Born surrounded by boutique shops and restaurants – so those not interested in history, can wait outside in style. But seriously, this place is free to enter and wander around. You can pay for headsets with audio information about the buildings/artefacts you are looking at. Or, you can pay for a guided tour which will take you down into the excavated site so you can feel what it is like to wander in among ancient ruins – I highly recommend doing this, it’s all kinds of awesome. Gaudi’s unfinished masterpiece. Do I need to say more? This beautiful cathedral is more than a masterpiece, it is simply unique. To believe that Gaudi started work on this amazing creation all the way back in 1882 and it’s expected to (maybe) be finished by 2026 is just, Wow! For us, on a super tight budget, it was enough for us to stand outside and marvel – in complete awe – at the beautiful church steeples, spiralling off into the sky, looking like something out of a fantasy book. But for those with a bit more cash to splash, the Cathedral is open from 9am – 6pm most days and tickets are around about €11 euros each. So what are you waiting for? 4. La Rambla is Calling..
Hit the tourist trail but don’t expect to snag any bargains here and watch your bags(!). One of the worst streets in Barcelona for pick pockets – Luckily I never experienced this but plenty of my friends have. Here you will find awesome energy, street performers and awesome cafe to people watch in. Hit La Rambla at night, if you’re not sure where to go tonight you’ll be enticed into pub crawls, food crawls and drinking games – everything tourists like right? Forget you’re in the city for a moment and get lost in this beautiful park. One of Barcelona’s largest parks – and once the only park! – with so much to offer in its 70 acres it will sooth those not used to spending so much time in the city. A beautiful park where people part take in Yoga, Fitness, Afternoon snoozing – or siesta – picnics, performing arts, people watching and wondering. With endless trails leading to surprising giant fountains with beautiful carvings, to planted forests and small lakes it’s easy to forget you’re in Barcelona. At €20 euro entry Barcelona Zoo is the perfect activity to spend the day doing – get there early to avoid the rush – once housing the famous Albino Gorilla (Snowflake) this zoo is an example to how all zoo’s should be set out. It is spread over a HUGE area so make sure your legs are up for the task and get ready to explore! The enclosures for all the animals were larger and open aired which is a nice change compared to how many other zoo’s house their animals. We even got there in time to see the crocodiles being fed – not for the faint hearted. 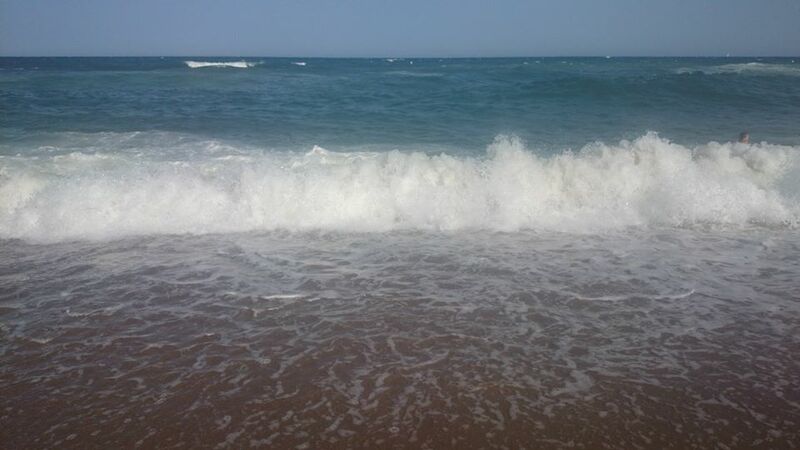 Of course our time in Barcelona was not full spent exploring we did have the odd day (or two) dedicated to the beach. Most people will flock to the Barceloneta Beach which is often very busy and crowded, the shops and beach bars are slightly more expensive and it can be very windy. Head on over to the Platja De La Marbella which is slightly quieter and bit more sheltered from the wind. Perfect for tanning days and some epic wave jumping! 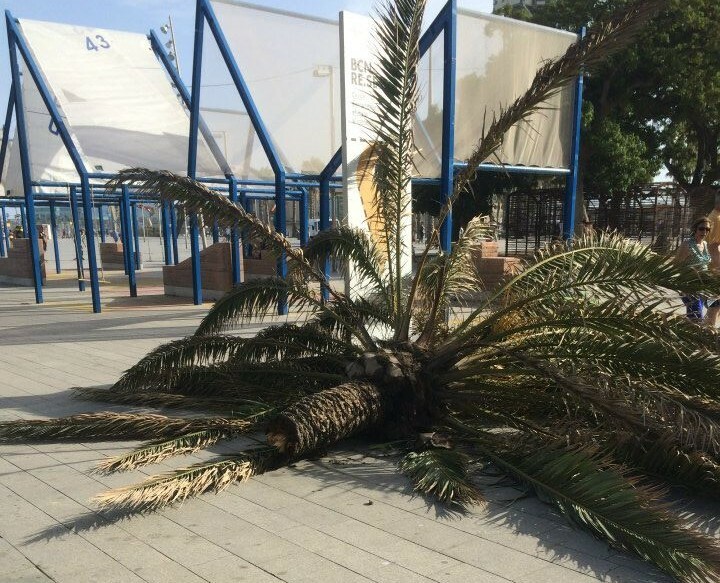 Hot Tip: If it is really windy, stay away from the Palm Tree’s on the Walk of either beach. While deciding whether to get ice cream or not the top – yes, literally the top – of a Palm Tree came clean off and landed meters from us. Thankfully no one was squished. It was all kinds of hilariously scary though. Barcelona has LOADS of morning markets filled with beautiful fresh fruit tubs – which are like €1 euro, i stoked up – Chorizo sausages, LOADS of fish, sweets, you name it they had it! I love exploring markets when I’m abroad, especially early in the morning when the locals all shop, it is fun to immerse yourself in their world for an hour or two – and eat all the samples, obviously. We actually came here on our last day – to fill up the space in our suitcase, obviously. Pretty much everything gets better once you are off the tourist trail. Seriously. We ended up somewhere in the Gothic quarter in a cute bar which sold ‘Brewdog Beer’ – this made us happy – and Tequila and had an old couple dancing happily in it when we arrived. Plus it was MUCH cheaper than the bars on the tourist trails! You’ll find cute little restaurants, bakeries and so much more! Barcelona doesn’t have to be expensive, we came on a tight budget and still came home with A lot of our budget left over! There are so many fun and free things to get up to in Barcelona, you don’t have to spend a fortune to enjoy yourself! Check this article out for more suggestions of awesome things to do in Barcelona! Often the best and most authentic experiences are found by wandering and not spending money to do what is advertised but in fact get lost in your own adventures. Anymore recommendations for ‘on the budget things to do in Barcelona’ I wanna know! What would you get up to here on a tight budget? Barcelona is such a wonderful little city. It is one of those places we felt we could get to know really well and it had a little bit of everything from the beach to great art. magnificent points altogether, you just received a emblem new reader. What might you recommend in regards to your publish that you just made a few days ago? Any sure? I simply want to mention I’m all new to blogs and absolutely enjoyed you’re blog site. More than likely I’m likely to bookmark your site . You certainly have fabulous well written articles. Appreciate it for sharing your web-site. I simply want to tell you that I am just new to blogs and seriously enjoyed your blog site. Probably I’m going to bookmark your website . You certainly come with tremendous posts. Bless you for sharing your blog site. Thanks for sharing your thoughts about littlewanderluststories.com. I actually wanted to type a small note to be able to express gratitude to you for the amazing hints you are placing on this website. My time intensive internet search has now been compensated with extremely good concept to talk about with my friends and classmates. I ‘d declare that we visitors are undeniably endowed to dwell in a fine place with very many lovely professionals with good secrets. I feel pretty privileged to have used your entire website page and look forward to so many more excellent minutes reading here. Thank you once more for everything. Very nice style and design and good articles , absolutely nothing else we require : D.